DEL AMITRI Waking Hours (1990 UK official B.P.I. 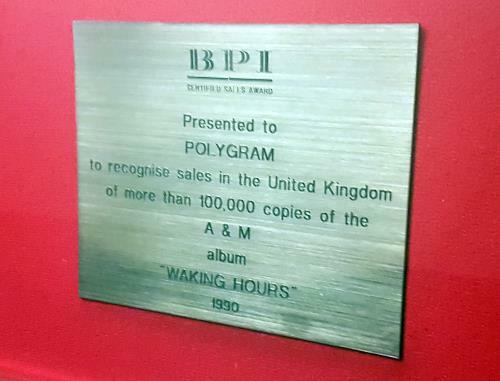 certified Gold sales award, issued to commemorate album sales in excess of 100,000 copies. 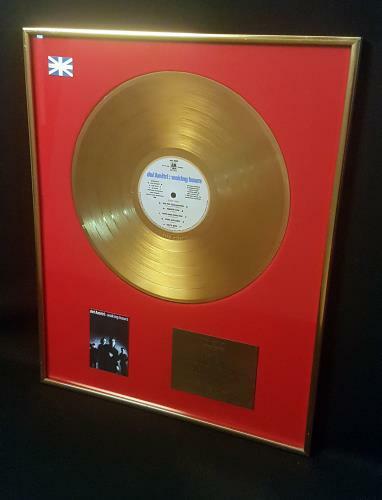 This nicely framed and glazed award measures 20" x 16" in size, and features a gold LP disc above the artwork miniature and authentic, custom engraved dedication plaque, all mounted on a red felt background with Union 'Jack' Flag in the top left corner, within a golden metal frame). or visit our Del Amitri image gallery.